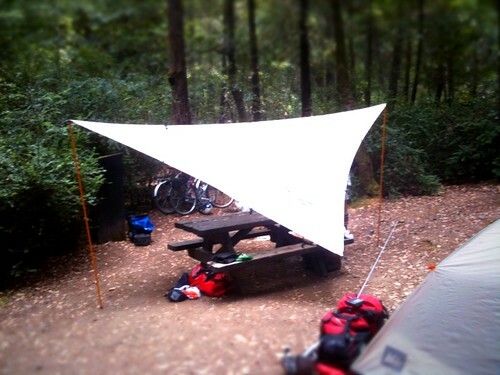 While in Garberville, we pick up a General Delivery package and get our Kelty Noah’s Tarp. 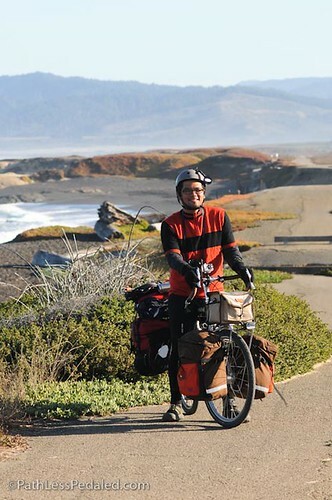 Our hosts in Eugene loved it on their US circumnavigation, especially during the winter. It provides a nice dry area even in pouring rain! 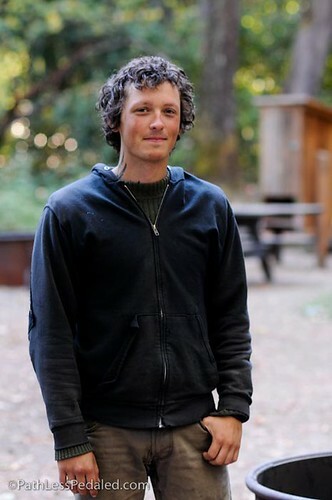 Fellow traveller, Sam, formerly from Bellingham but moving to Oakland. We spent a few great hours talking politics, travel and zombies! 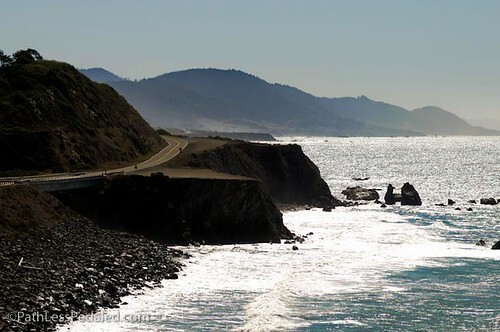 Typical beautiful coastal road we’ve been riding on the last few days! A rare picture of me! It has been cool so that means wool! I’m wearing one of my favorite wool jerseys by Earth, Wind and Rider. 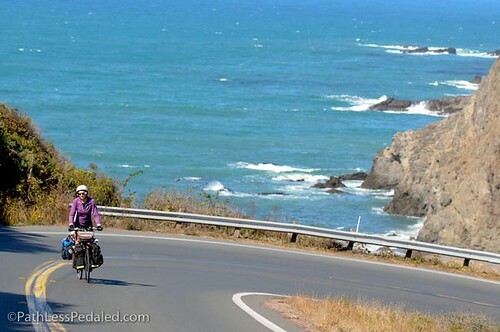 Laura tackling a ridiculously steep switchback on the 1 in Sonoma County. 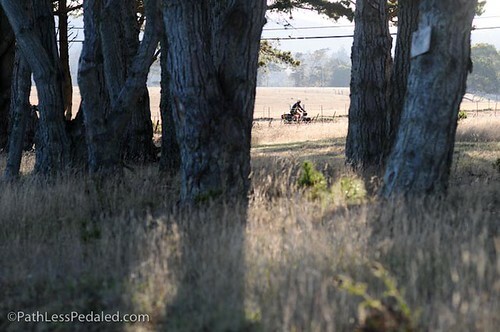 Riding through some of the beautiful grassland on the coast. the noah tarp looks awesome! what size are you guys using? Loving your tour and photos. 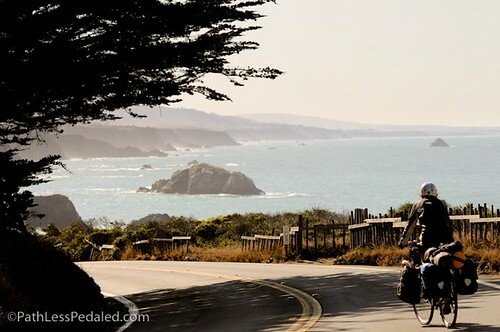 This post hit particulary close to home as all of the sonoma pics are roads I used to ride on very often 10 years ago. I miss them immensely and I am happy to see them….hell, I even recognize the little fence in that one pic with the “rock island”. Did you make it up coleman valley rd?? Another fave just of 1. Thanks for the “living precariously”!!! Unbelievably beautiful. You guys are my heroes.